Dr. Jonathan Pettit is no stranger to the business of Sports Medicine. In fact, that segment of Orthopedics is what takes up most of his time each day here at the Clinic. Dr. Pettit sees athletes of all ages and abilities who have been sidelined by ACL tears, bone fractures, and various overuse injuries. Dr. Pettit received his undergraduate degree at Vanderbilt University, and completed his medical degree at the University of Kentucky College of Medicine. His residency was completed at Baroness Erlanger Hospital in Chattanooga, which is the same hospital where Dr. Doug Wilburn trained. During his residency in Chattanooga, Dr. Pettit got to know a few physicians who were friends of Dr. Wilburn and they recommended he look at our clinic in Columbia. Dr. Pettit was very impressed with the quality of our surgeons and their ability to work together. He and his family also loved the idea of life in a smaller town where they could get to know so many people. Dr. Pettit offers many services with his focus in Sports Medicine, including a few advanced procedures such as a complex knee ligament reconstruction. This injury happens as a result of a car accident, severe sports injury, or a fall from a significant height. Another operation Dr. Pettit performs is an all-arthroscopic rotator cuff repair. The option to do the surgery solely with arthroscopy results in less tissue damage and a smaller incision. Dr. Pettit’s main goal with any of his procedures is to get his patients back into the activity they love with as little down time as possible. Since beginning his practice ten years ago, Dr. Pettit has noted a few substantial changes in orthopedics. One change is the trend in how sports injuries are treated in the 4o + age bracket. In the last five to 10 years, surgery to fix a torn ACL has become more common place. Previously, patients in that age range who presented with an ACL injury were given a knee brace and instructed to do physical therapy to help with healing. The belief now is what patients in that age range likely knew all along – they still have many more active years left in which to benefit from this surgery. The surgical treatment of a torn ACL reduces knee instability and allows the patient the option to one day return to sports. 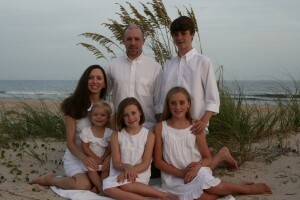 Dr. Pettit and his family are highly involved in the community. Dr. Pettit serves as the current president of the Board of Trustees at Agathos Classical School, and has served on the board for eight years. He is on the Utilization Review Board at NHC Columbia and serves on a variety of committees at Maury Regional Medical Center. Additionally, Dr. Pettit is continuing our long tradition of providing team physician coverage at Columbia Central High School. Dr. Pettit is very proud that his family actively serves in the community. He has been married 19 years and has four children from age three to 15. All of his school age children attend Agathos Classical School, and the family worships at Maury Hills Church. In his free time, Dr. Pettit enjoys snowboarding and hiking.